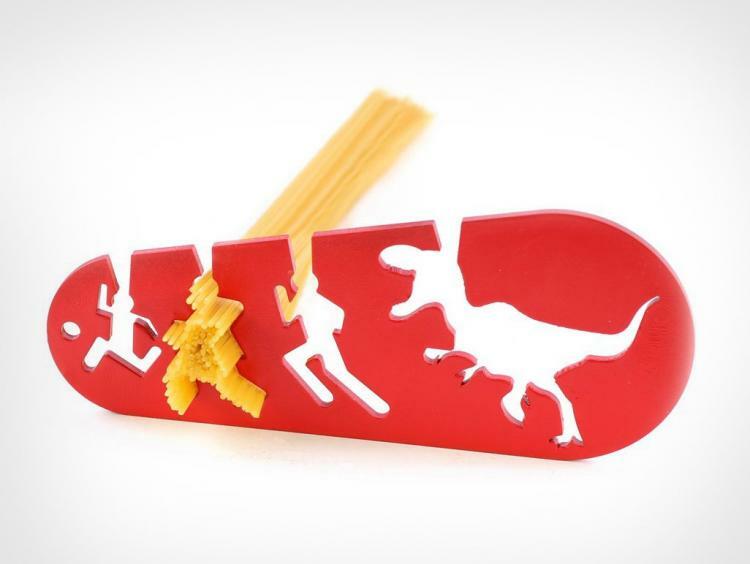 Playing off the 'So Hungry I Could Eat a Horse Spaghetti Measurer' that we posted almost two years ago, this spaghetti measurement tool has a T-Rex dinosaur instead of a horse, although it doesn't mean much when the dinosaur is still the same size as the horse. 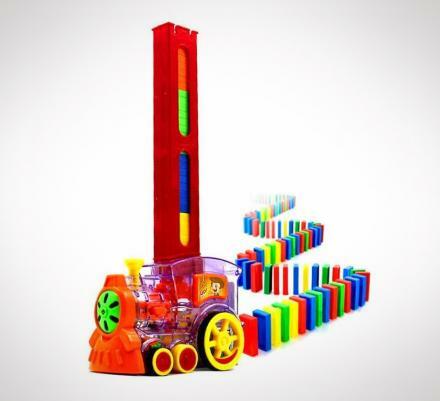 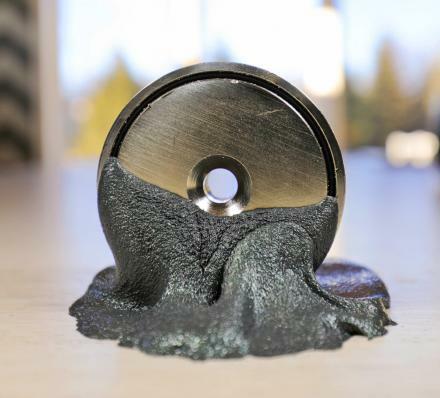 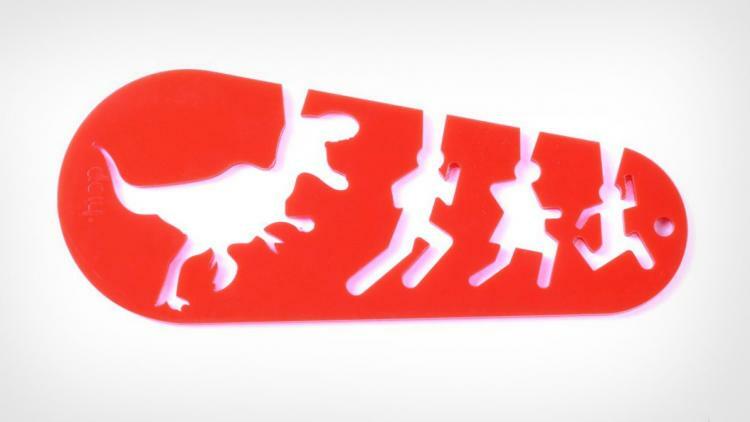 Also instead of the smaller measurement holes on the horse tool being a male, female, and child standing straight up like their on a bathroom label sign, the T-Rex spaghetti measurement tool has the smaller measurement holes as a male, female, and child running away from the dinosaur in a frantic craze. 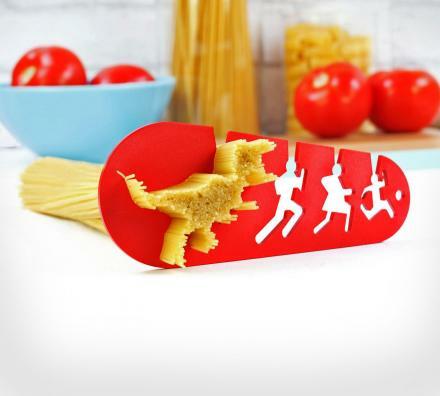 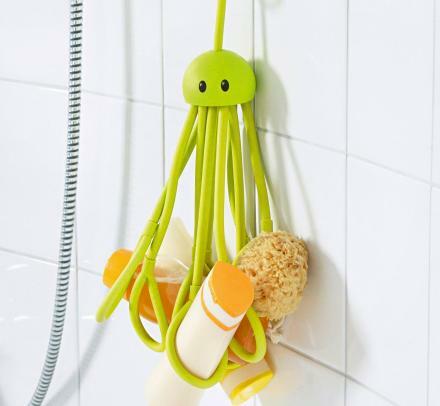 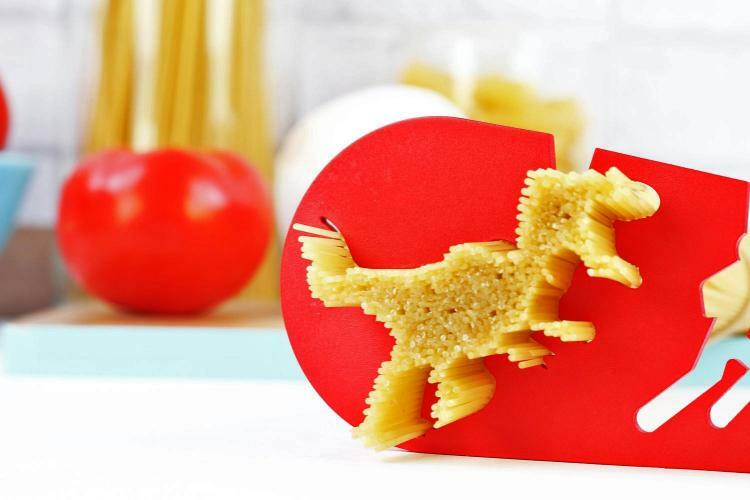 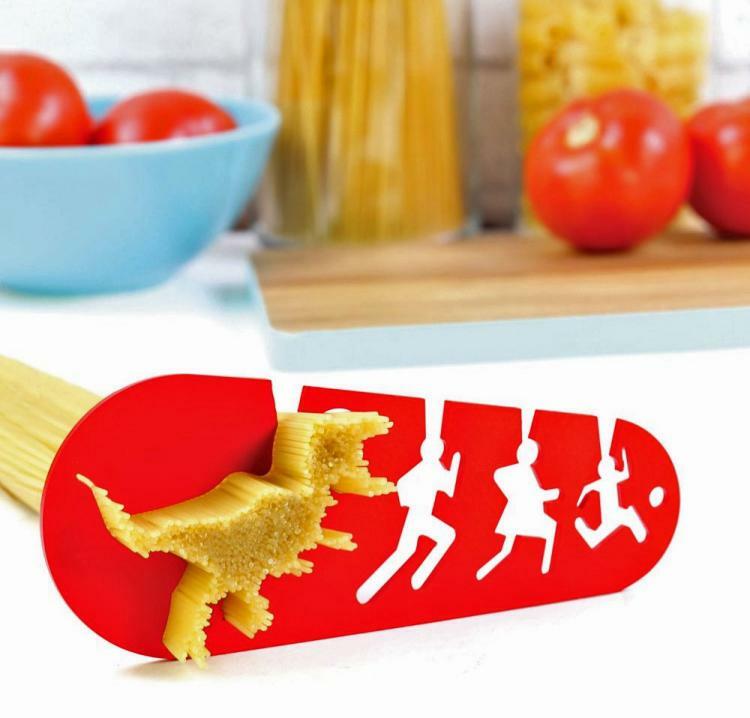 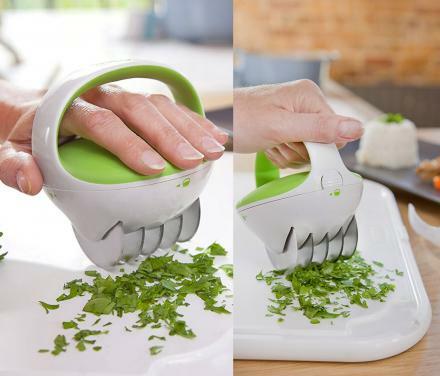 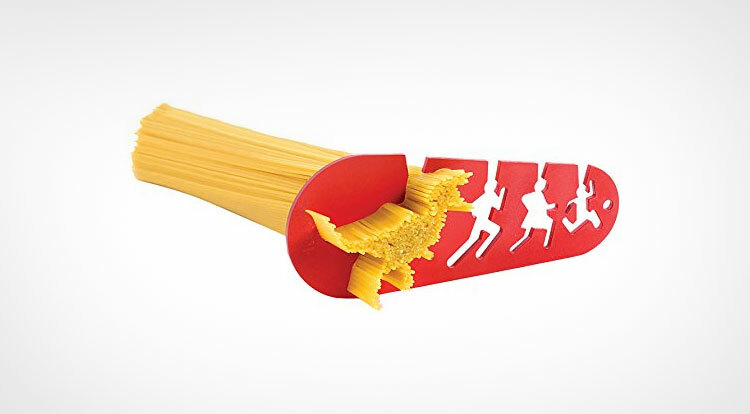 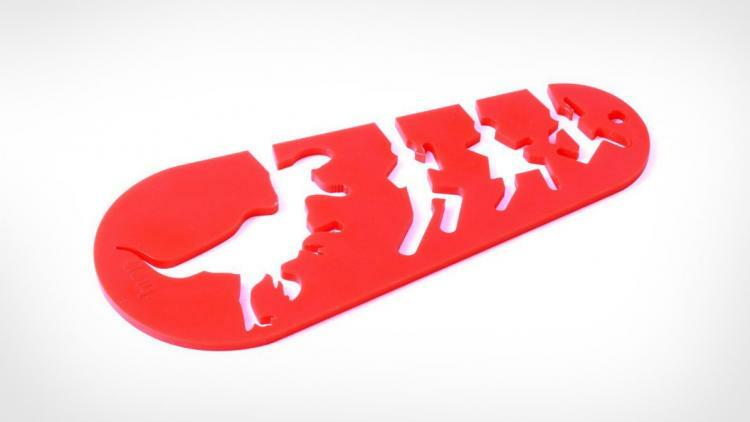 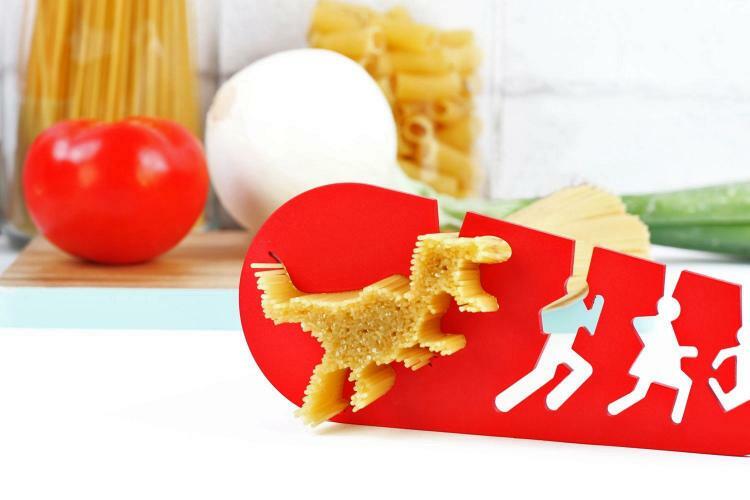 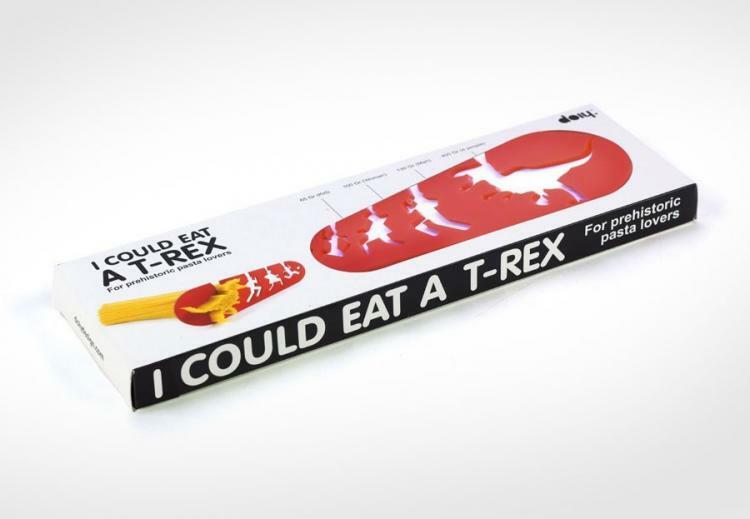 Even though probably no one actually measures their spaghetti unless their on some sort of crazy diet, this might just be a funny gag gift to get a dinosaur enthusiast or spaghetti lover you may know.